Camellia sinensis belongs to the family Theaceae, from China. 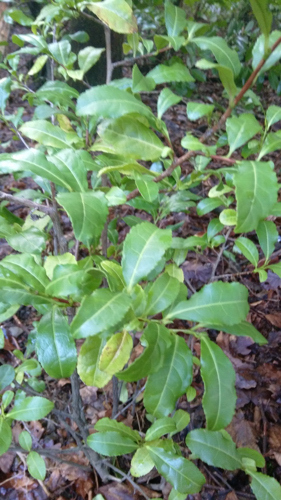 This Camellia is commonly known as the Tea Tree, if the picked leaves are infused in hot water they make for that very beverage of tea. When the serrated leaves are harvested this forces the plant to produce more buds, this process prevents any flowering during cultivation of the leaves. The small white flowers comprise yellow stamens. During spring 2017 the Camellias underwent some pruning to rejuvenate new growth. 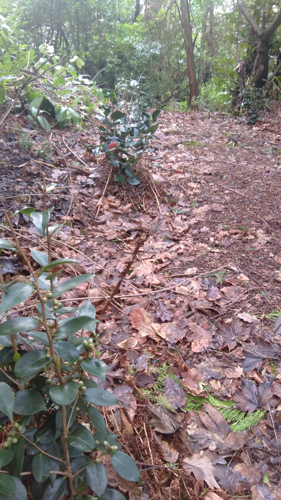 Some of the Camellias were in pretty poor shape and to date have never really fully recovered. Most of the plants have responded extremely well to the pruning. 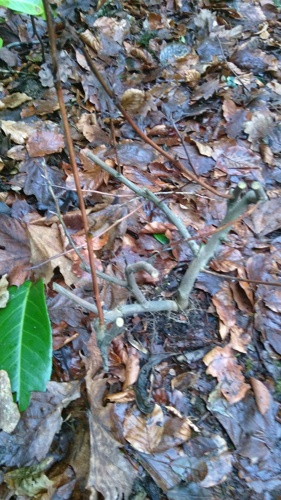 The pruning involved tipping back the dead growth to the very small, but strongest looking buds. 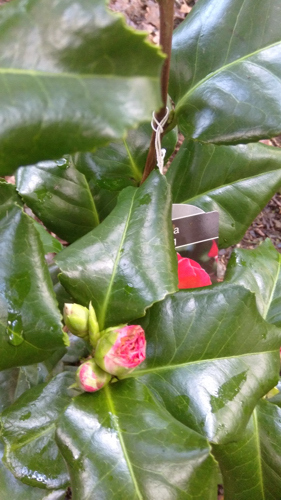 The Camellias started to produce a flurry of healthy growth amidst a branching of fresh woody growth. In early October the plants in the main had recovered well, and I decided to transplant them to a new position. A top woodland area of the Ryebeck provides an improved aspect, sheltered south east facing at the top of the slope, down to a sheltered south west aspect as the sloping walk descends. This has provided an opportunity for me to develop and plant a Camellia walk for the visitors to enjoy in this wonderful location. The wooded area comprises mainly Oak, Beech, Birch, with a mix of coniferous trees. 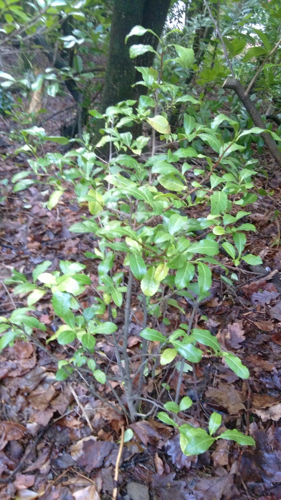 The main theme of the underplanting is of Laurel. I have had to expose the understorey of the trees with some fairly hard pruning back of the Laurel. 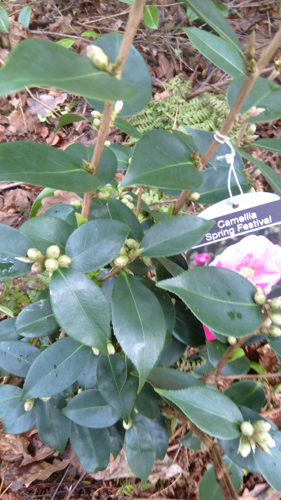 This has created a nice open walkway in which to plant the Camellia sinensis, and a selection of other Camellias. The walk bends and undulates to a length of approximately 45 metres. 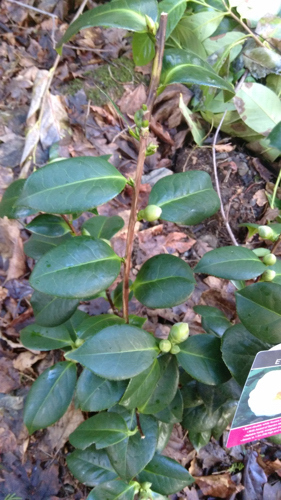 When the planting is completed, 25 Camellias of varied selection aside from the Camellia sinensis will have been planted. 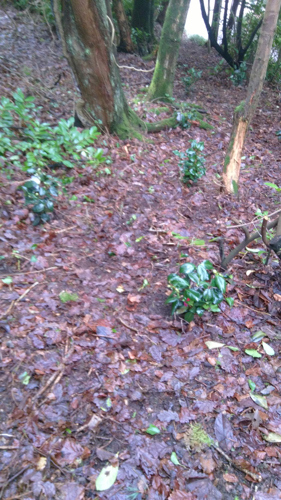 Here is the list of Camellias planted in the woodland to date. 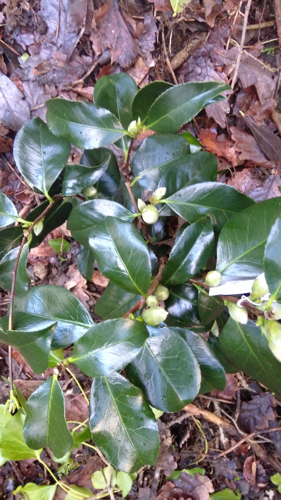 Planting started in early autumn 2017 and the buds are showing a heathy proliferation on all of the shrubs. The planting plan and selection continues. Spring Festival 5ft, Pink flowers, yellow stamens. Lady Campbell. 5ft, Red flowers. E.T.R. Carlyon, 5ft, Semi double white flowers. Doctor King, 5ft, Red flowers, yellow stamens. Adolphe Audusson 6ft, Red semi double flowers. Elegans 4ft, Rose pink flowers. 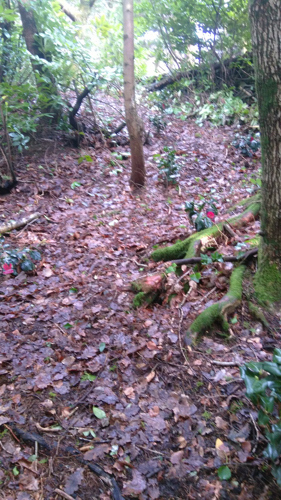 0 Comments To "Developing and Planting a Camellia Walk"